One of Malawi’s top artists, Lulu and Third Eye are expected to share the stage with Ivory Coast’s reggae icon, Alpha Blondy at this year’s Kigali Up festival in Rwanda. 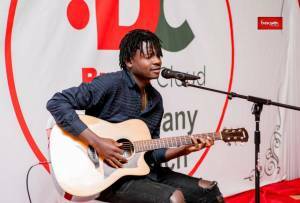 The two artists’ manager, Wendy Harawa told Malawi News Agency (Mana) on Friday that organizers of the event were impressed with their profiles hence given the opportunity of performing at the eighth annual event slated for July 26th to 28th 2018. “They will be the first Malawian artists ever to perform at Kigali Up festival in Rwanda. The festival usually draws together artists from all over Africa and the World at large as part of promoting arts and lifting Rwanda’s music. “When we gave them profiles for both Lulu and Third Eye, my artists proved to be worth and right material to be at Kigali festival where they will share the stage with the likes of the legendary Alpha Blondy,” said Harawa. Harawa, therefore, said as their manager, she would make sure that she promotes their music to go beyond borders and boost Malawian economy through the art of music taking advantage of her connections and networks. She added that members of a network of managers, promoters, musicians, festival and record label owners across the continent meet every year to agree on conducting festivals as a tool of monitoring progress on whether indeed African artists as well as their music were being promoted within the continent and beyond. Harawa, however, said she intends to take more artists to different international festivals as one way of fulfilling her passion about growing and exposing Malawian talent. Hip-hop ring leader, Third Eye has several times represented Malawi at international forums such as the Arterial Network Conference in Morocco. He was also featured on American rapper Awkward’s new song ‘I am,’ an international collaborative effort featuring nine artists from different continents. Born Lawrence Khwisa, Lulu has also worked with Rwanda’s celebrated artist Danny. He has also collaborated with Tanzania’s award winning musician, Diamond.